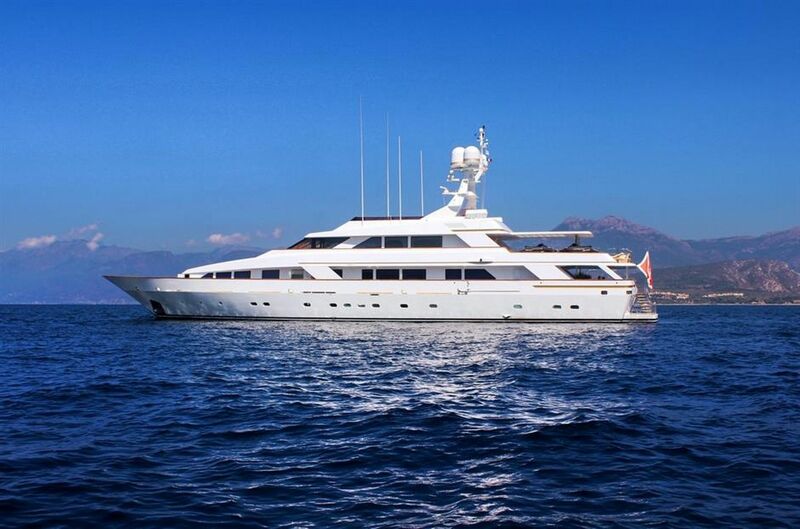 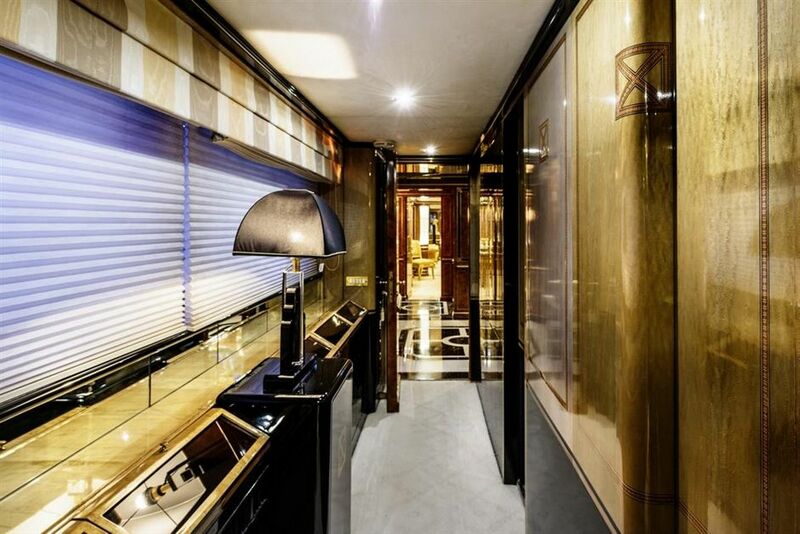 Built by Benetti in 1991 and last refitted in 2013, 46m/151ft superyacht MISTRESS (ex.KALEIDO BEAU) features the exterior styling of Stefano Natucci with interiors completed by Zuretti. 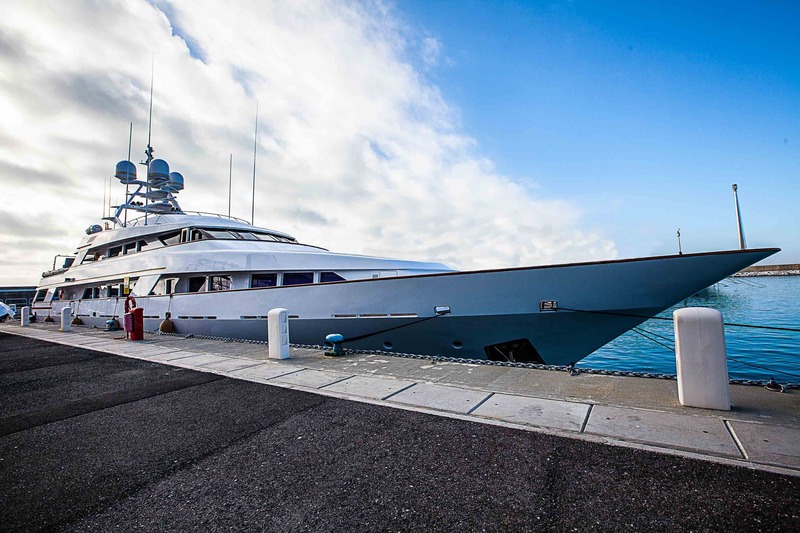 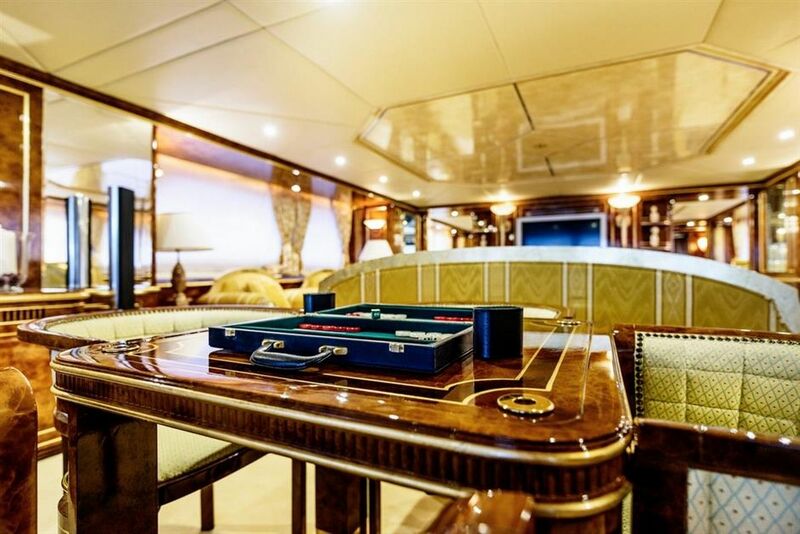 Built with a steel hull and aluminium superstructure, this beautiful motor yacht has excellent entertainment features and balanced indoor/outdoor spaces for up to 11 charter guests across 6 cabins. 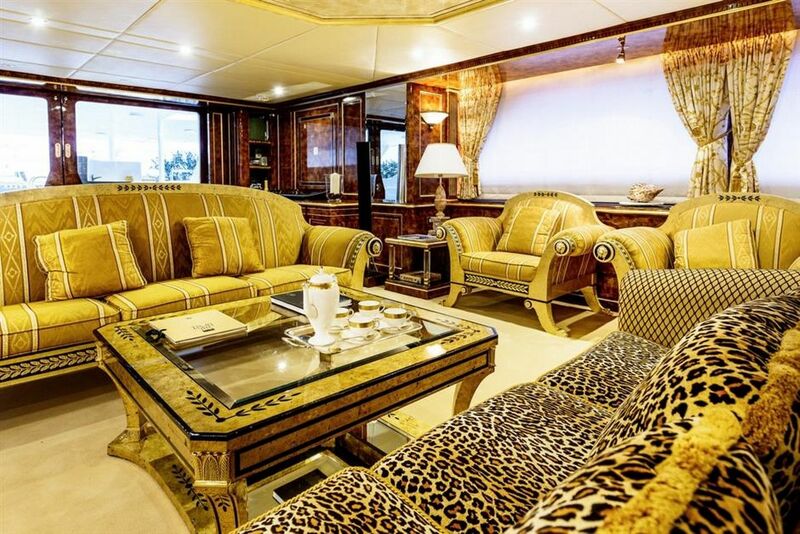 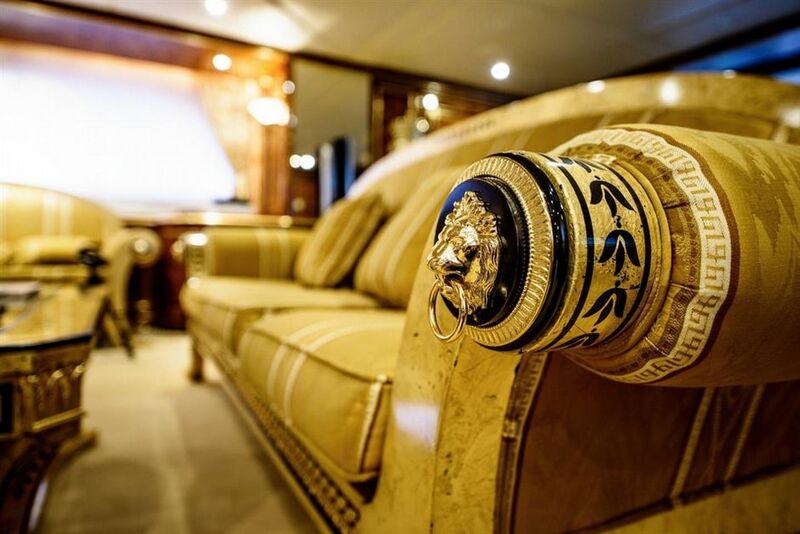 The main salon is a classically styled environment using lavish yellow and gold tones in the furnishings. 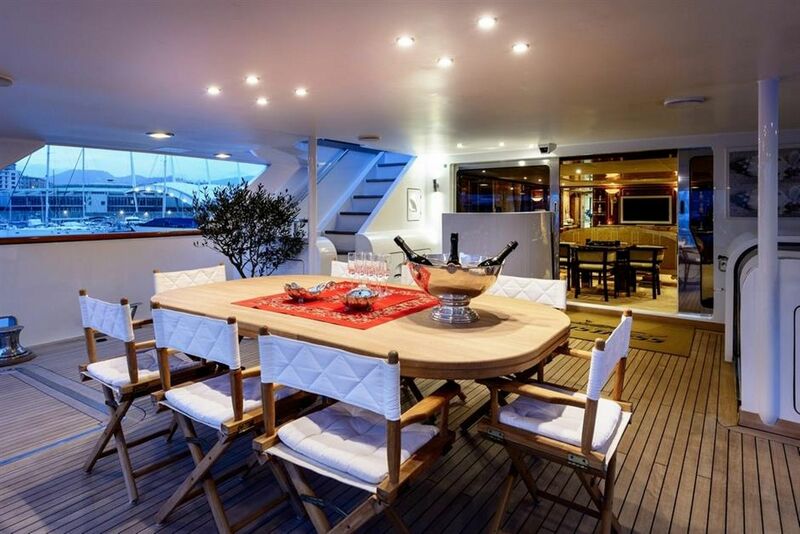 Two large sofas and three arm chairs create an abundance of seating for guests and additional visitors to sit and socialise, with large curtained windows and surrounding lamps and ceiling lights for illumination. 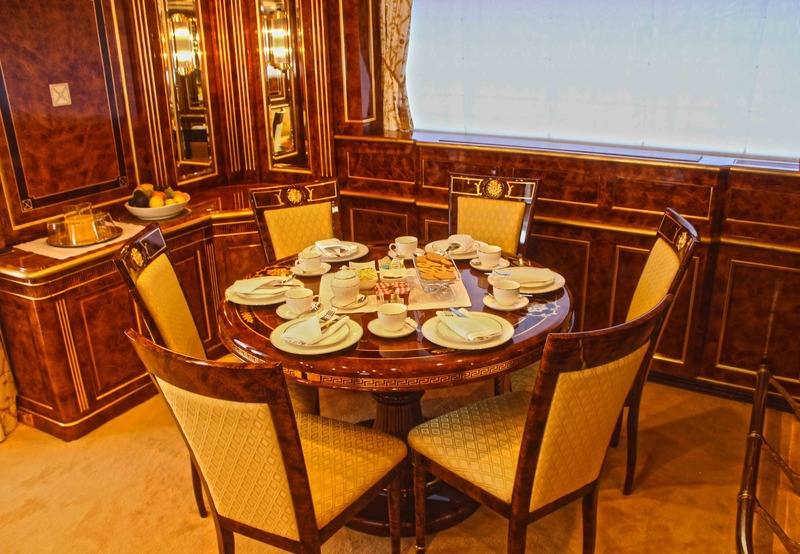 Forward of the main salon is the richly decorated formal dining area, which is separated for a more intimate dining experience between eight guests. 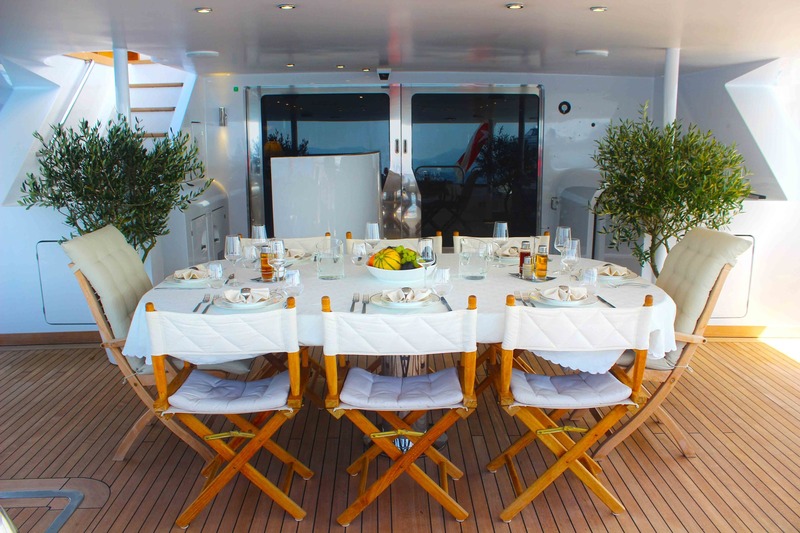 Curtained windows on each side allow natural light to enter the interior throughout the meal, while the mirrors on the walls and ceiling amplify the ceiling lights. 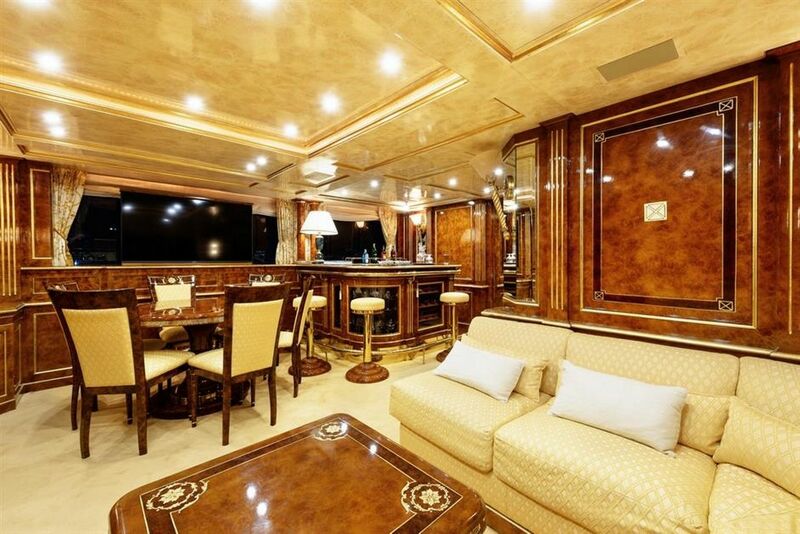 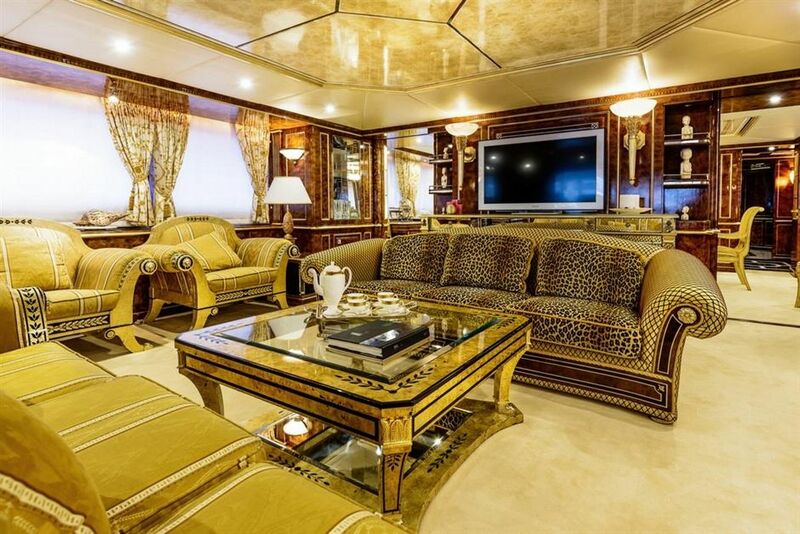 There is a widescreen TV and a karaoke system for entertaining in the evening and during transit. 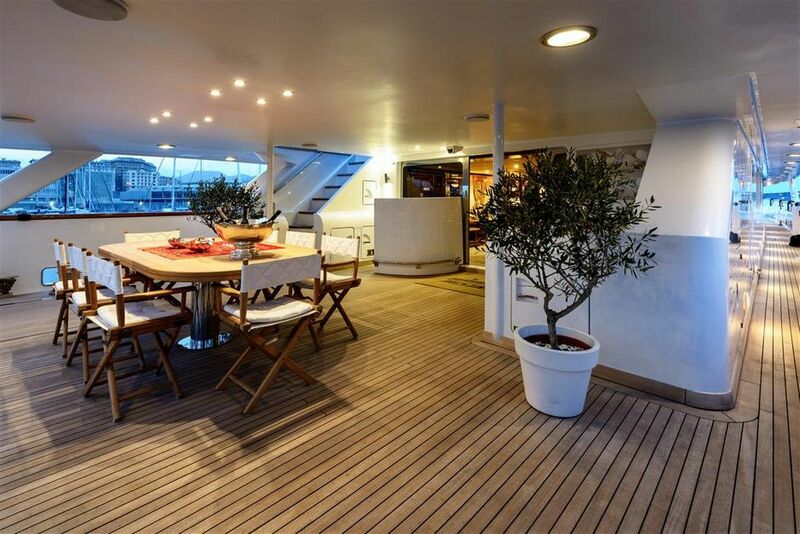 The main deck aft has outdoor armchairs and a coffee table and is fitted with strong lighting for outdoor lounging at any time of the day. The bar beside the main saloon doors will provide refreshments to guests inside and out. 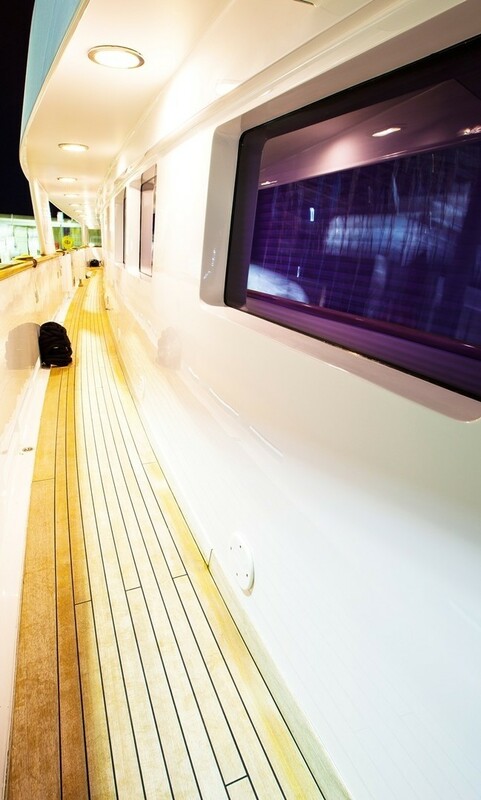 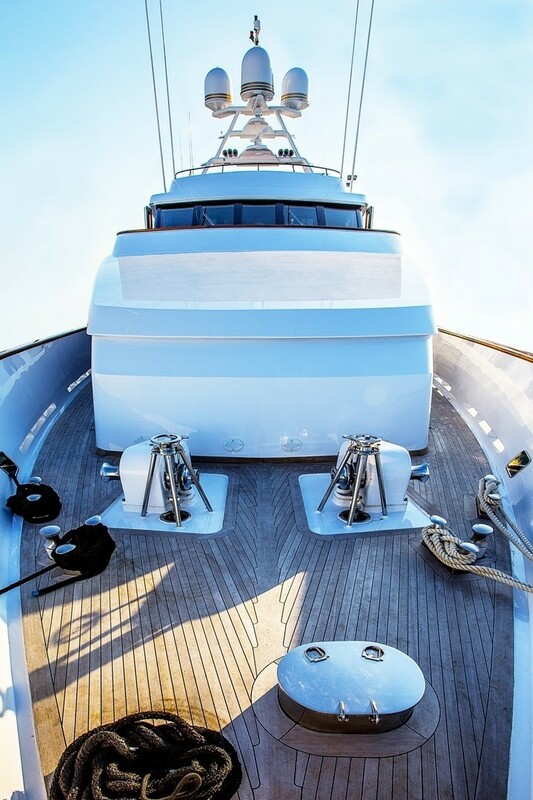 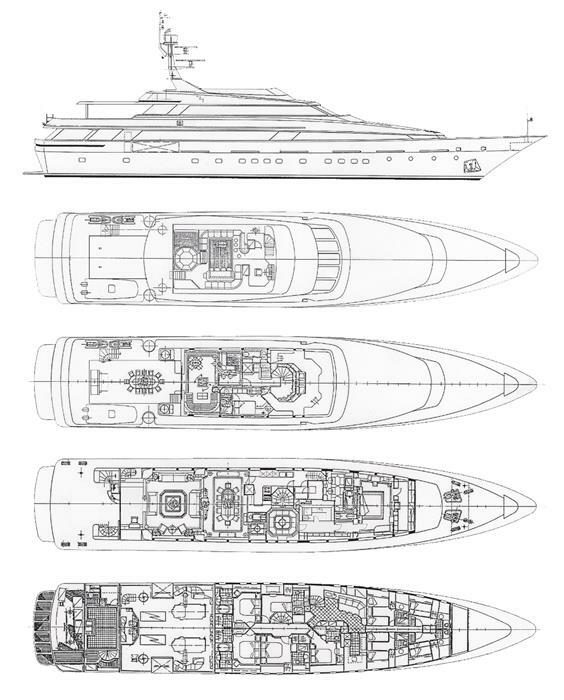 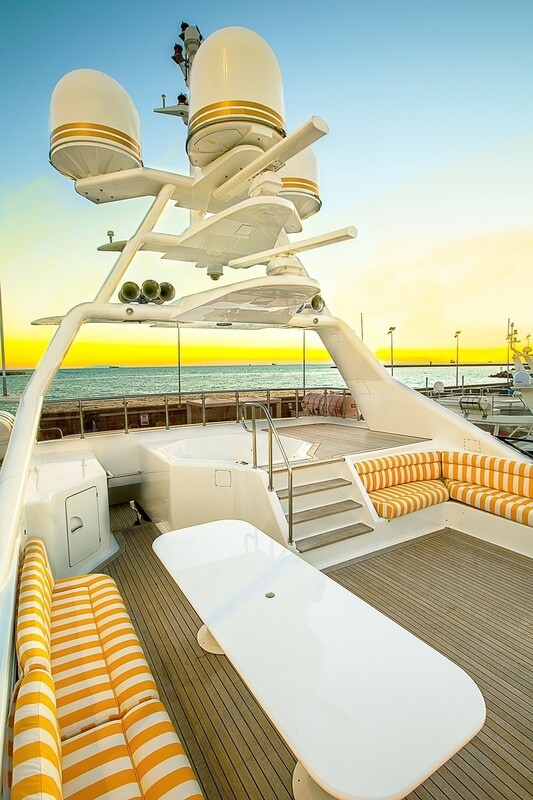 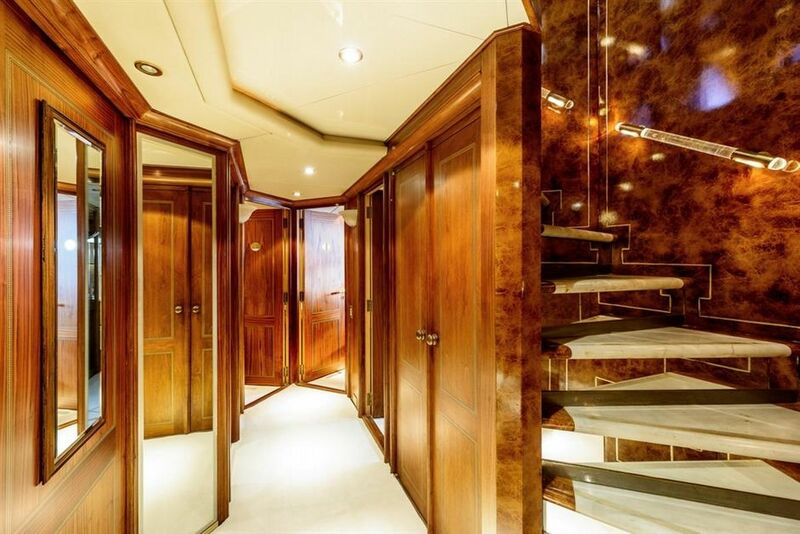 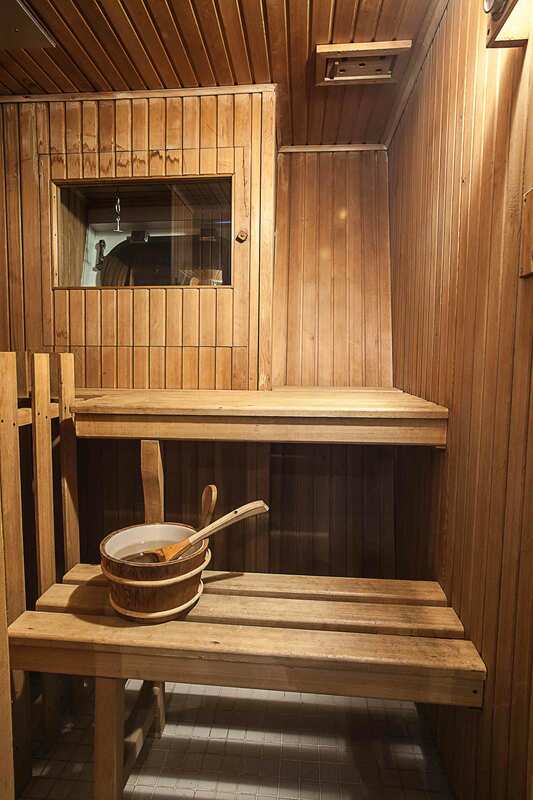 The aft main deck connects to the lower deck swim platform where there is a spacious tender garage and a sauna for all guests to use. 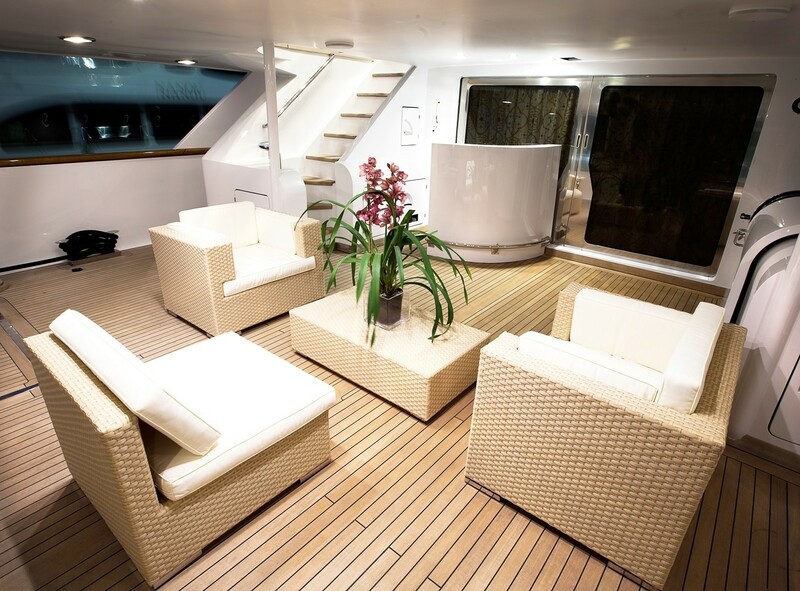 In the upper deck skylounge, guests have a second cosy spot for evening relaxation: Towards the aft, there is a plush seating area with an ornately decorated table, plus an adjacent table for drinks and card games. 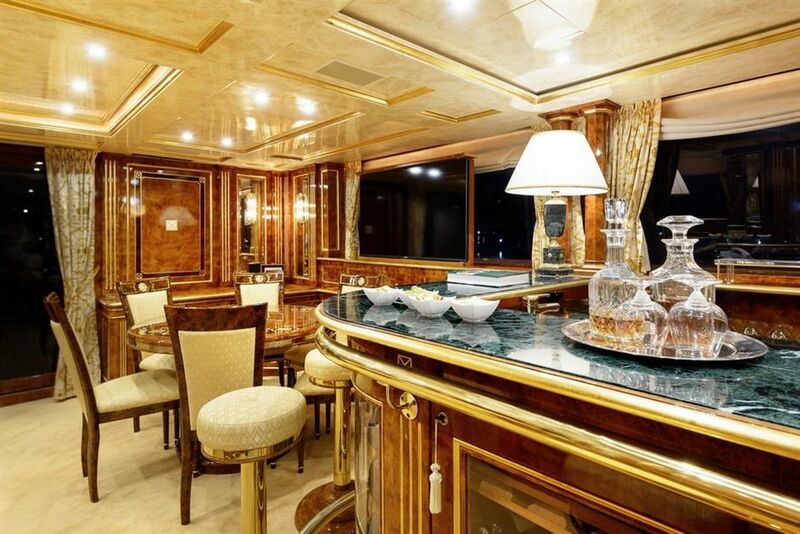 Forward of the seating, there is a glamorous bar that perfectly matches the classic surrounding panelling. 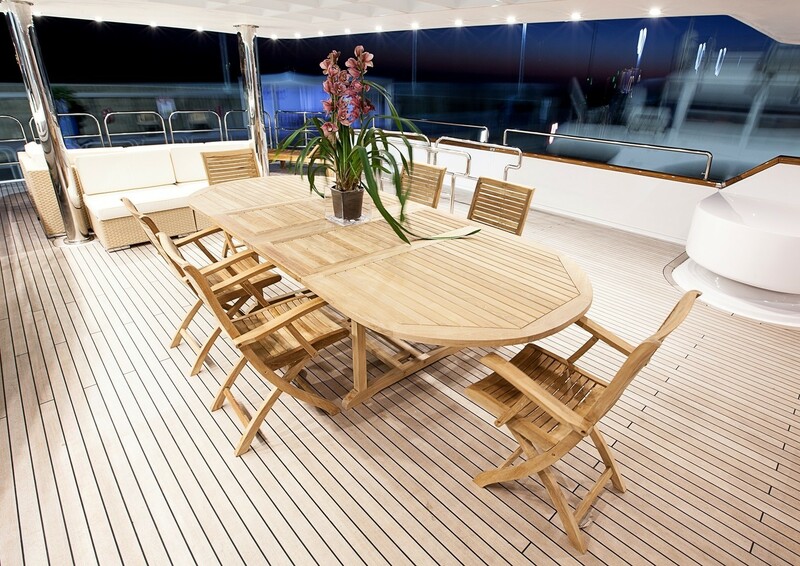 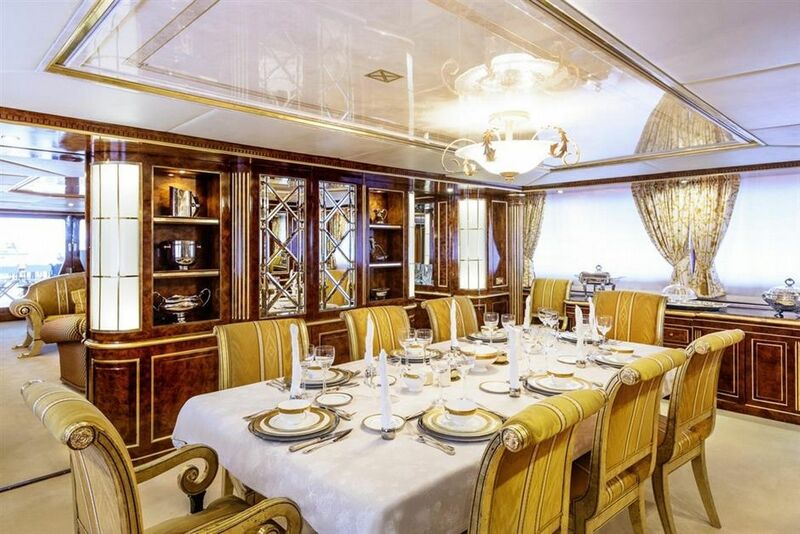 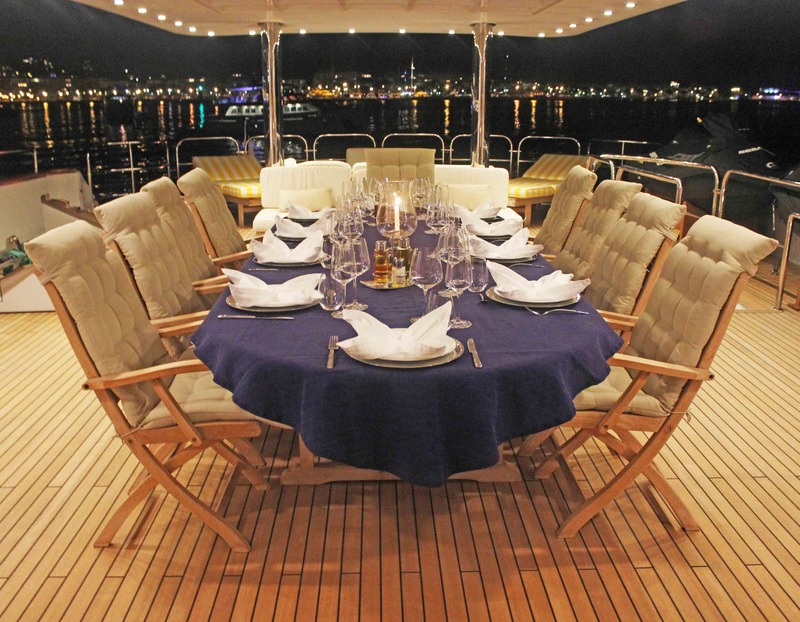 Guests can dine alfresco at the elegant table on the upper deck aft, which seats up to 10 guests, while the aft has seating for guests to relax outside after the meal. 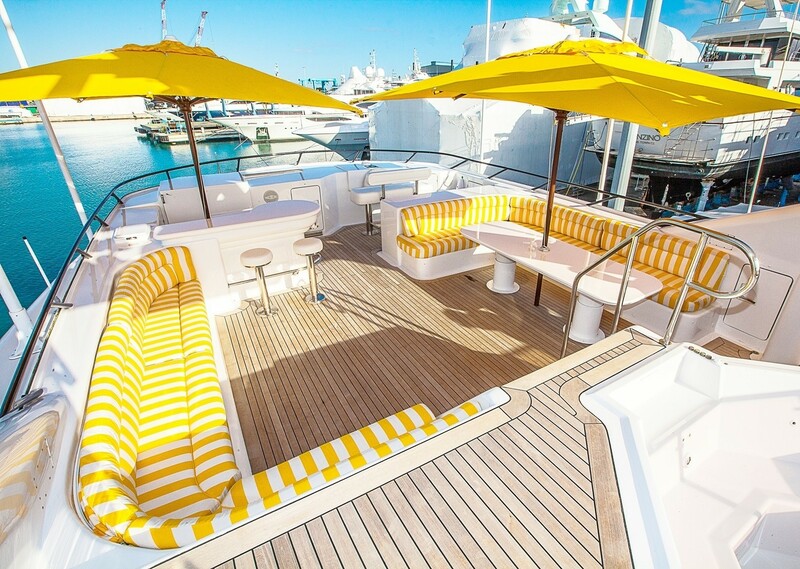 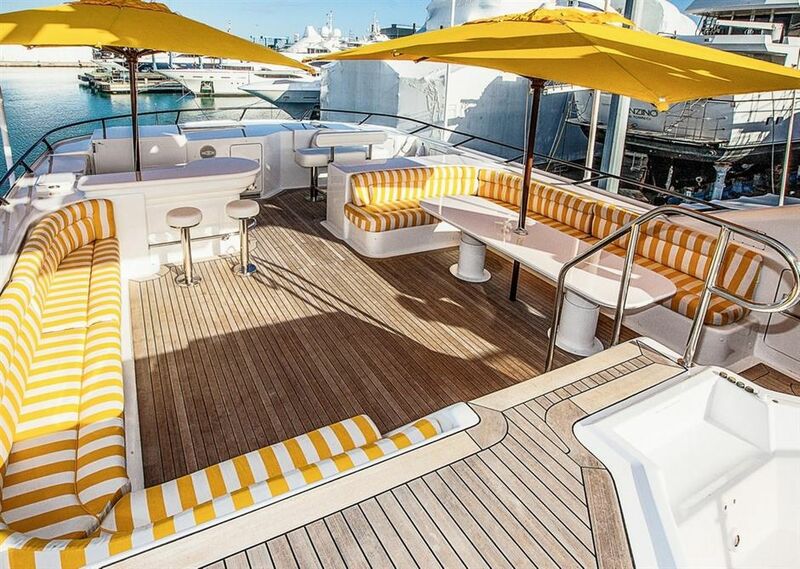 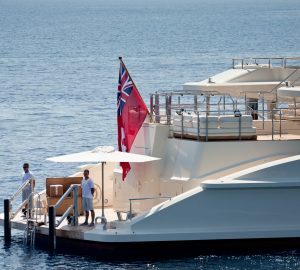 The sundeck is fitted with a large aft sundeck and sunpads, while the central area contains shaded seating, a barbeque and a bar. 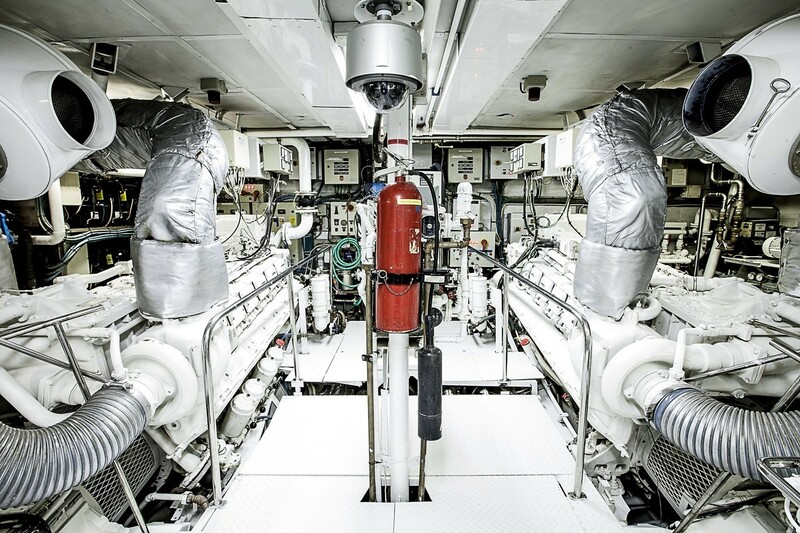 Twin 2000hp MTU engines allow her to reach a top speed of 18 knots and a cruising speed of 13 knots. 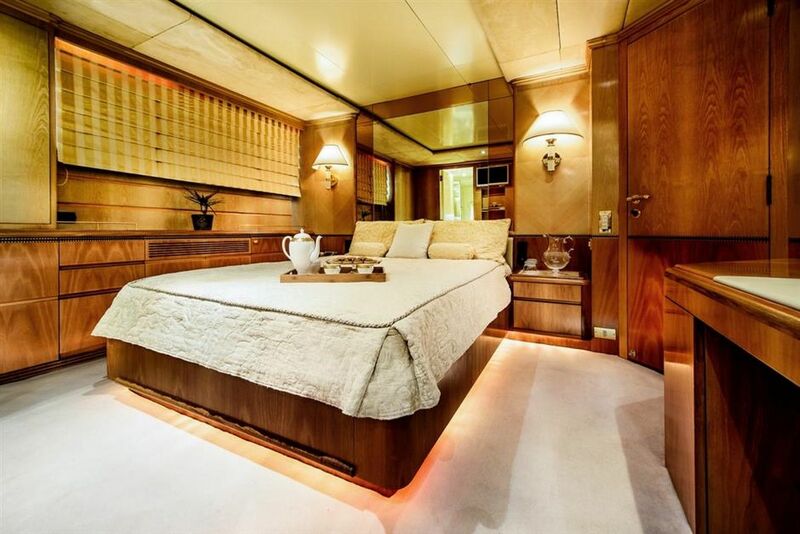 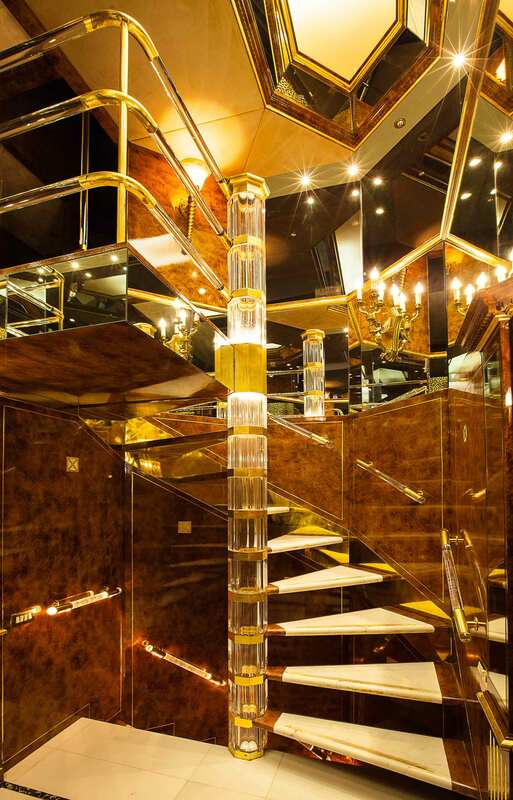 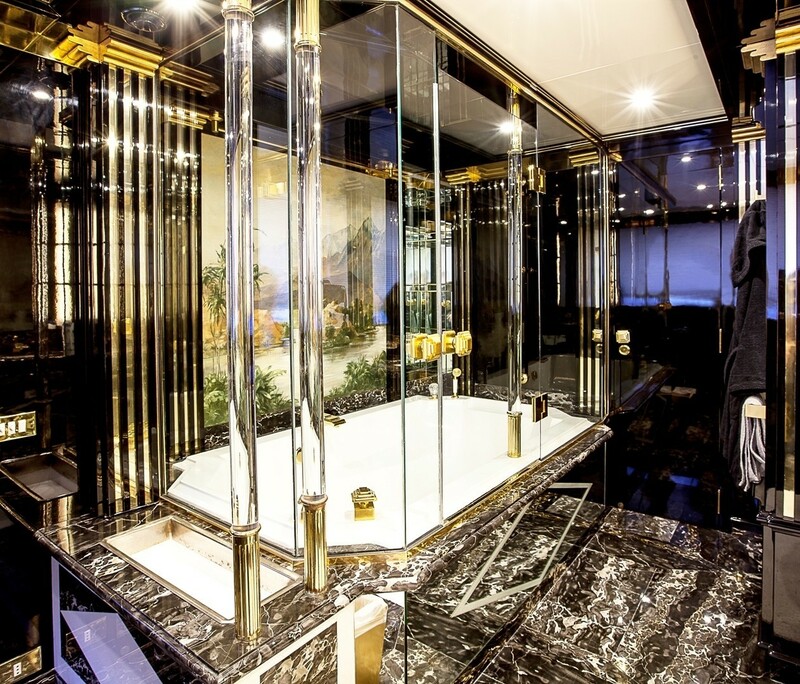 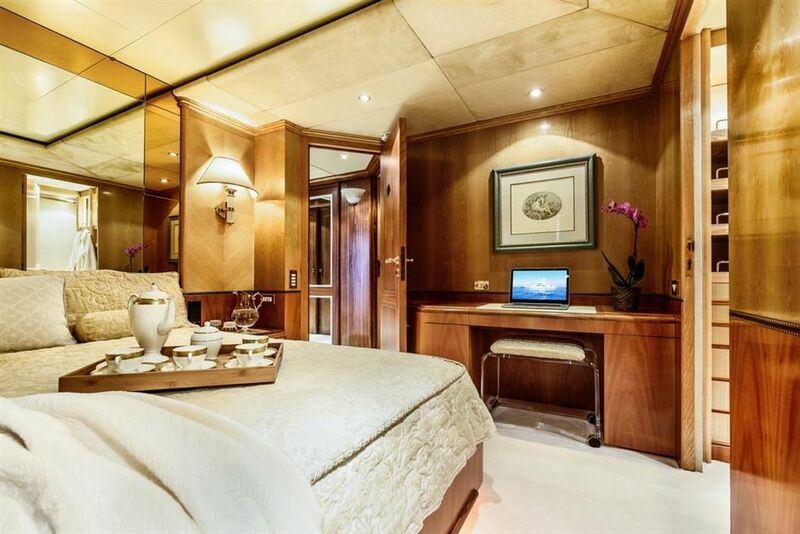 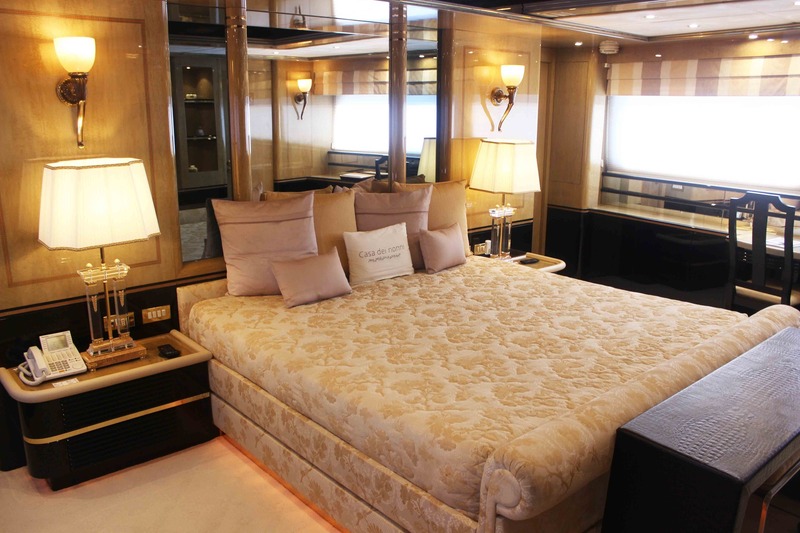 Superyacht MISTRESS accommodates up to 11 guests across 6 cabins: 1 Master suite, 2 double cabins, 2 twin cabins and 1 single cabin, each with en-suite facilities. 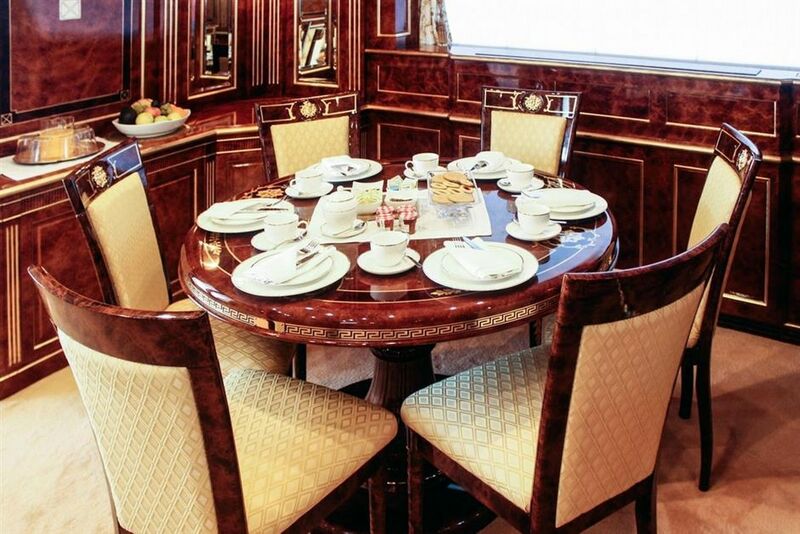 The crew of 9 will provide for guests throughout the cruise. 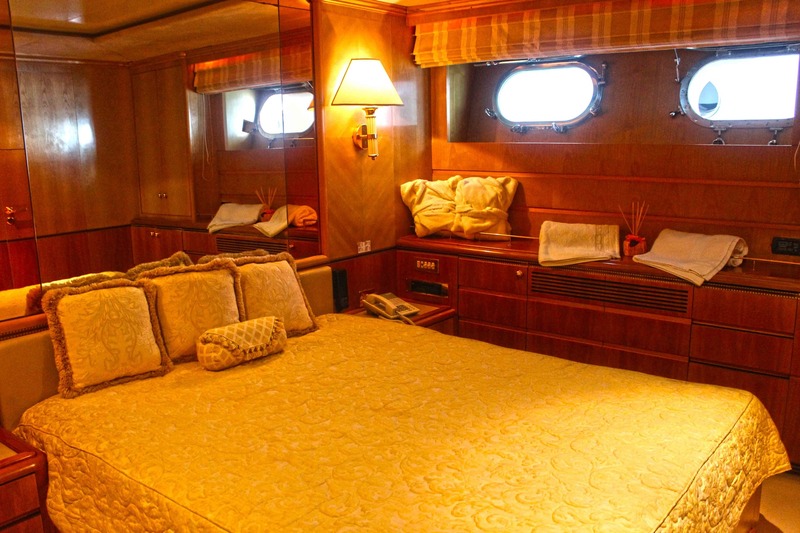 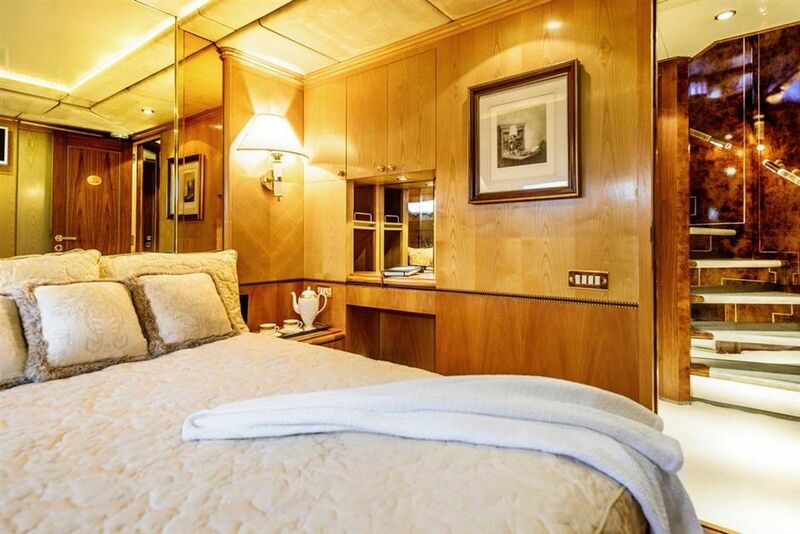 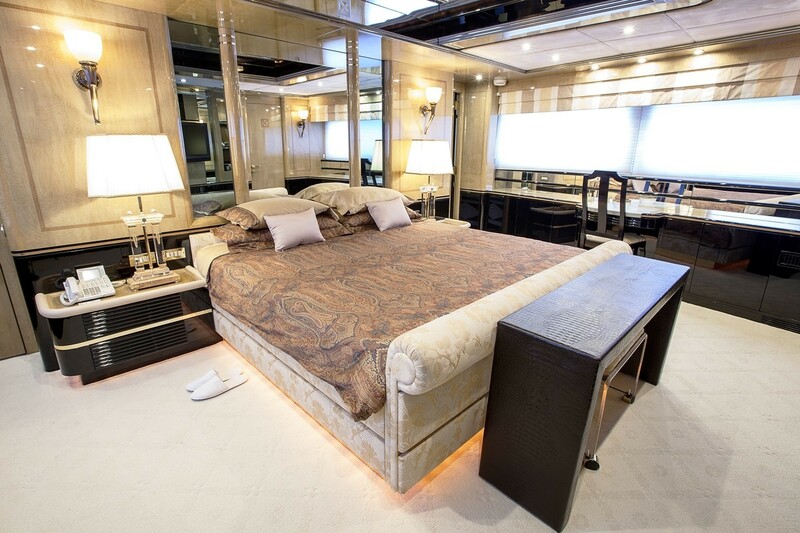 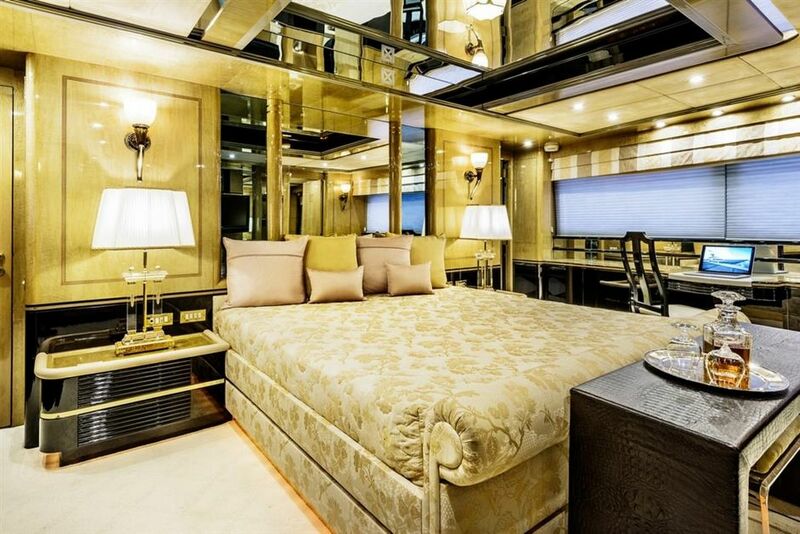 MAIN DECK: The master stateroom is located on the front of the main deck with a wardrobe and 2 heads for him and for her. 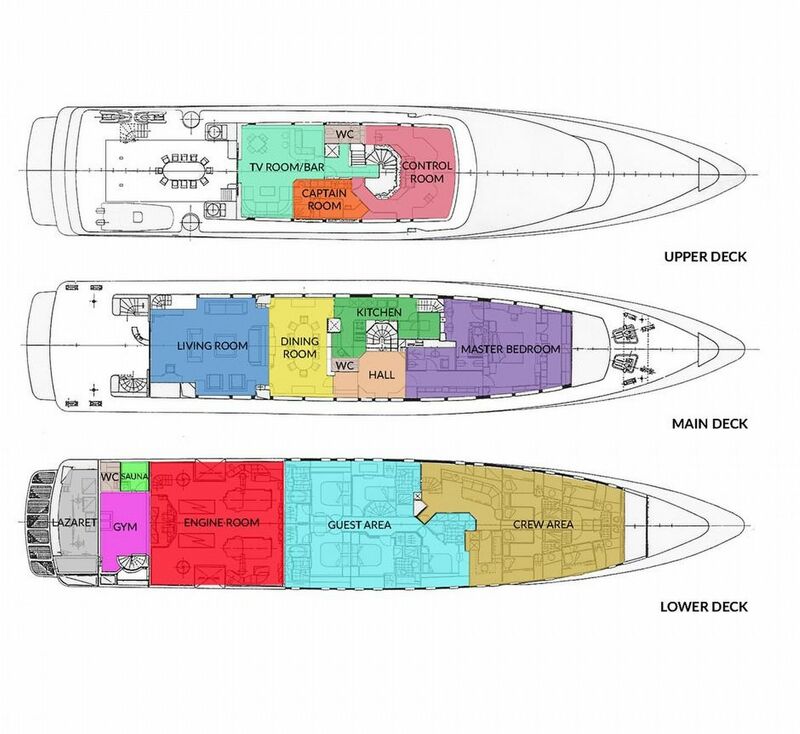 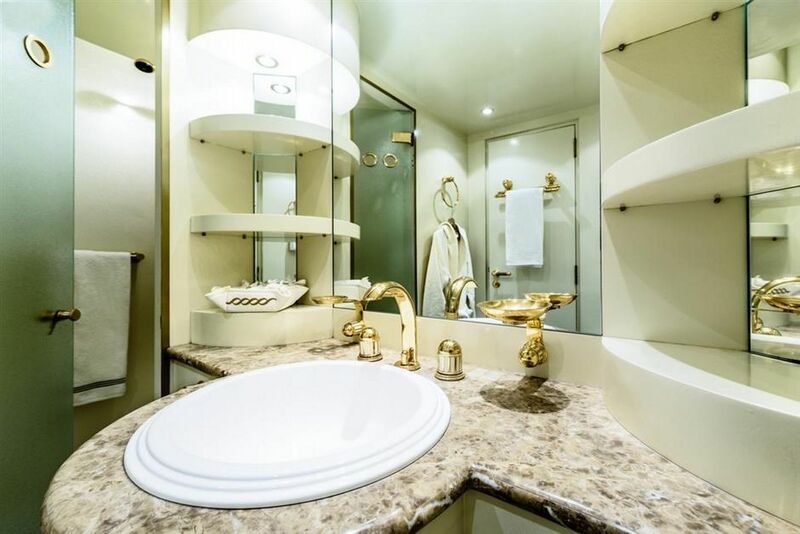 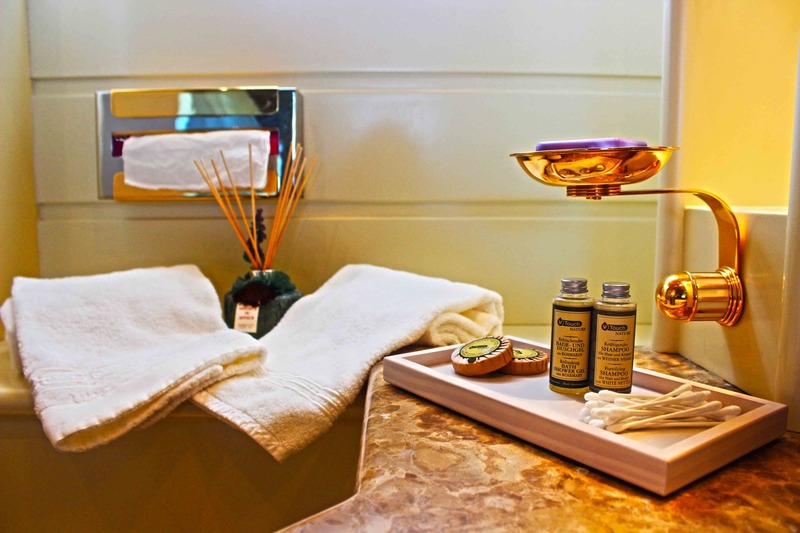 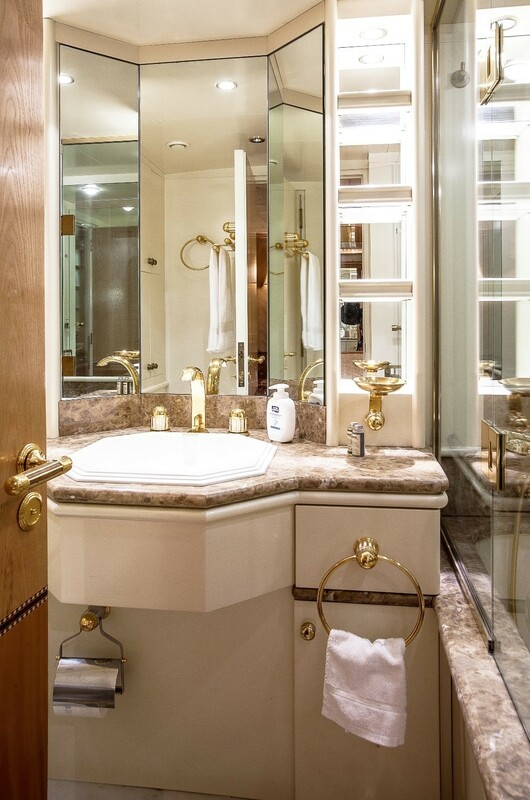 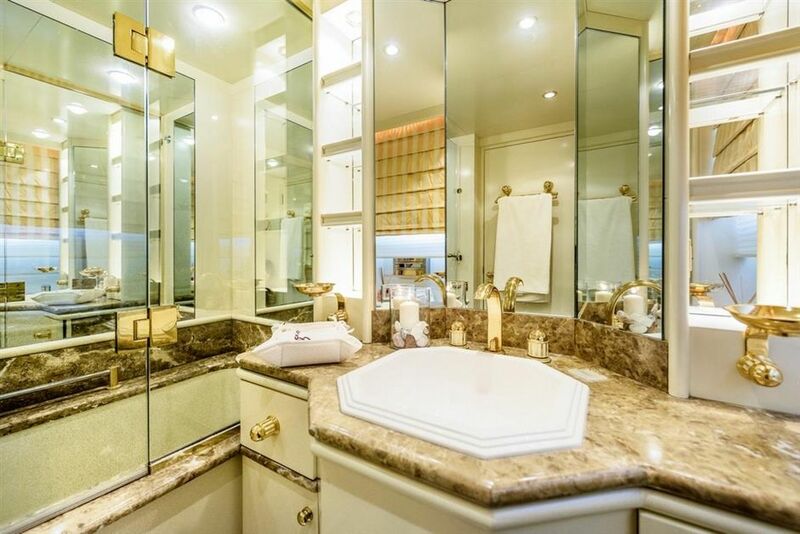 LOWER DECK: The 5 guests cabins with their own bathrooms are located on the lower deck. 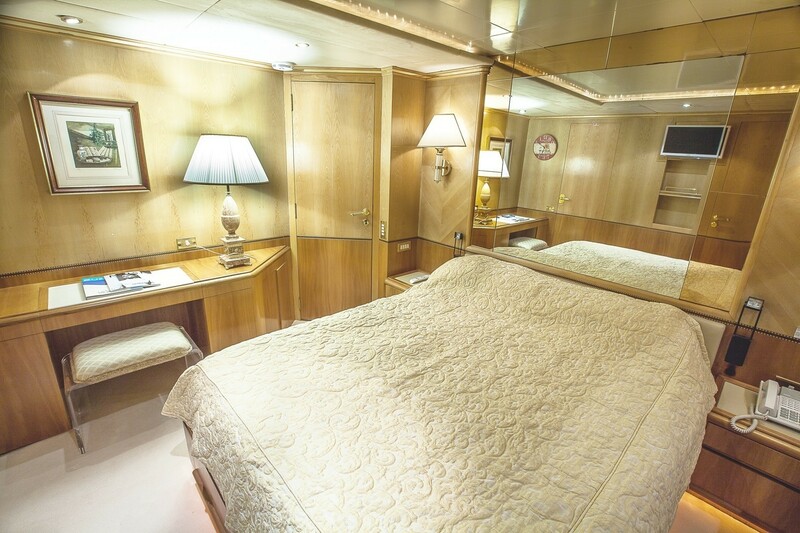 Three double staterooms, two twin beds staterooms and one single stateroom. 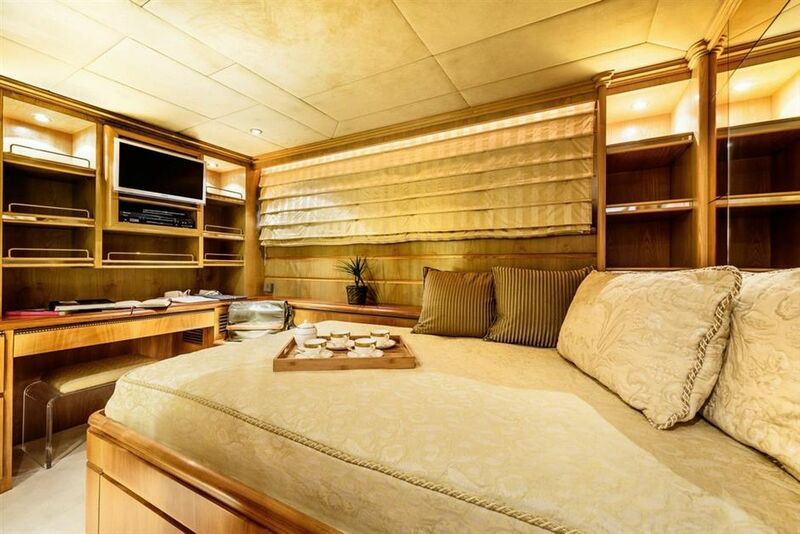 Tenders & Toys: 2 Jet Ski Sea Doo Sparc 2up, Tender with Engine 115 cc Envinerude, 2 Kayaks, 2 Kits for Scuba Diving Kit for Snorkeling 2 Bikes, Communications: TV Sat Satellite Internet Audio Visual Equipment and Deck Facilities All the bedrooms are fully equipped with TV’s and DVD players.